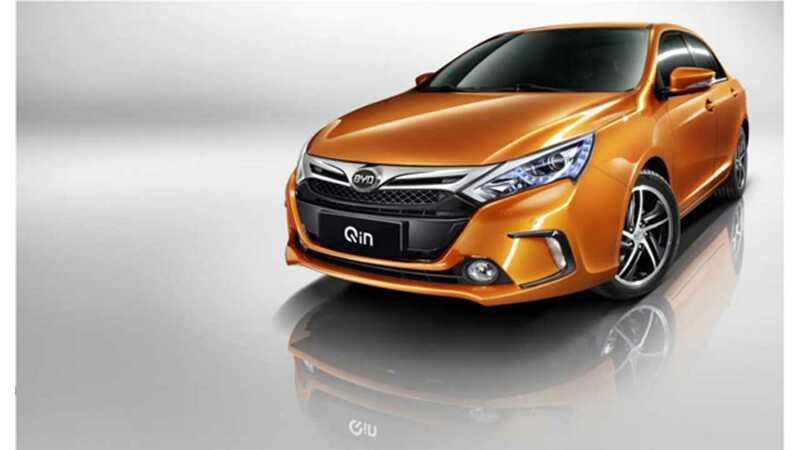 China production and sales of New Energy Vehicles (all kinds and sizes of all-electric and plug-in hybrids) is growing like never before. From a level of a few thousand a month at the beginning of 2015, to 35,000 produced in China in October. That's some growth! 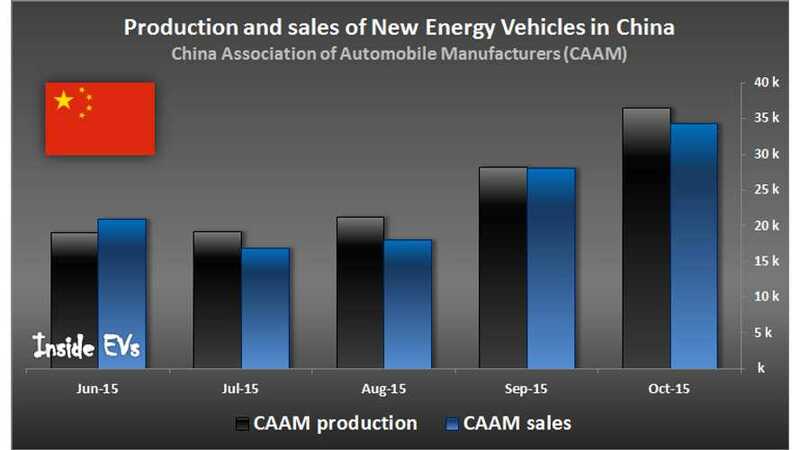 The CAAM report states that 36,494 NEVs were produced last month and that 34,316 were sold in China. NEVs means not only cars, but also buses, trucks or tiny EVs (smaller than Mitsubishi i-MiEV). Total 2015 sales already exceed 170,000 (113,000 all-electric), while production is over 180,000 (121,000 all-electric). None of those numbers includes imported EVs like Tesla Model S, BMW i3 or others. The numbers are shockingly high, but just take a look at the growth of production and sales - 4.2 times and 5.0 times year-over-year in October. All-electric vehicle sales are expanding even quicker - 9.2 times!